We hope that your listing on WeNeedaVacation.com provides the tools, exposure, and customer support that result in the successful self-marketing and management of your vacation rental property. However, if your initial listing with us results in no bookings, your subscription will be extended at no charge for the same length of time as your original paid listing. This guarantee applies only if a) your listing includes sufficient description and at least ten quality photographs, b) you use and update WeNeedaVacation.com's pricing and availability calendar, c) you have at least 30% vacancy for the time that normally is considered high season, and d) your contact information includes both a telephone number and an email address. You also must be in compliance with the terms and conditions of our Homeowner's Agreement. This guarantee is applicable only for the first new listing submitted, and does not apply to renewals, free time earned or offered by promotion, or listings transferred to new ownership. "Last year was my first season renting my home on MV and I used a broker. This year I signed up with Weneedavacation.com and [a competitor]. I have to tell you that I am BLOWN AWAY by the difference in the two sites. I have received tremendous personal support from your staff, who have been extremely knowledgeable, helpful and sincere. It is only February 1 and I am booked for all but one week of prime season. All but one of these bookings came from your site. 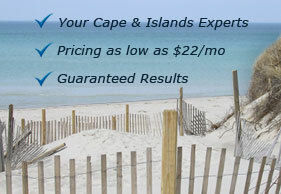 I like the fact that Weneedavacation.com is geared specifically for the Cape and Islands." "This was my first experience doing this by myself and it was so easy! If I needed any help, everyone I spoke with was so nice. I had a great rental season. For years I was afraid to do this on my own and now I am mad at myself for not doing this sooner"